Northpointe Bluff is located just North of Downtown Anchorage Alaska and near Elmendorf Air Force Base; JBER. This location is ideal for the close proximity to the local activities Anchorage has to offer; walking to the Saturday Market, visiting the Alaska Railroad Depot, parks, high-end restaurants, Bistro’s & Cafés, shopping, fishing at Ship Creek, quick access to the Coastal Trail & Bike Trails. A very pedestrian friendly location. Northpointe Bluff is a newly developed neighborhood featuring award winning builders; Hagmeier Homes, Spinell Homes, Crown Pointe, & Glacier Homes. Each lot is designed to showcase breathtaking views of the Cook Inlet, Anchorage’s City Skyline, the Chugach Mountain range as well as the Alaska Range, and Mount Susitna (Sleeping Lady). 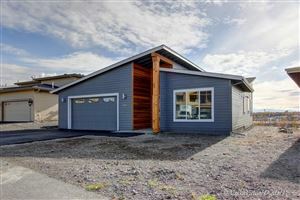 If you are looking for a New Construction Home in the Downtown or Anchorage area call/text 9074404661 for availability of lots and pricing information. If you are looking for a home for Sale in Northpointe Bluff near Downtown Anchorage & JBER, we have all homes for sale in this area featured on MLS from ALL the Real Estate Companies.